Made with gentle superfine clays sourced from France and a powdery mix of barley, rosehip and Damask rose, this dual function clay mask is wonderful for those with normal to dry skin seeking to detoxify skin. It is simple, versatile and easy to use – simple mix 1-2 tsp of the clay mix with a liquid of your choice (water, milk, fruit or veg juice and even tea!) and apply liberally onto your face. You can add other goodies such as honey and yogurt – the sky is the limit! Contents | Superfine French clays (white & pink), powders of honey, rosehip, barley and Damask rose, essential oils, Vitamin E.
White clay, also known as kaolin clay, gets its name from the city of Kao Ling (“land of high hills”) where it was first discovered. Today, this superfine clay is extracted from quarries in the Provence region of France and sundried to help lock its minerals and healing properties. It is a naturally reoccuring mineral and is rich in silica, making it suitable for dry and sensitive skin. It also has a high percent of alumina (23%) which is renowned for its healing properties. 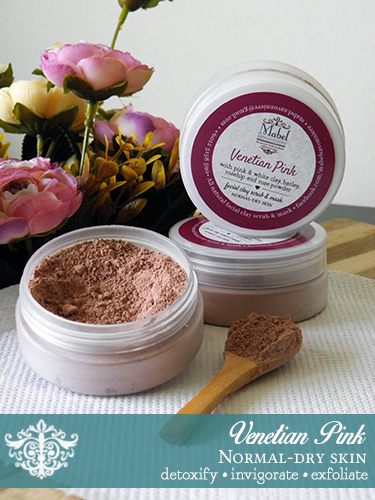 Pink clay is actually a mixture of red illite clay and white kaolin clay. Mined from quarries in the Provence and later sundried, this clay is known for its soothing properties, making it suitable for sensitive and fragile skin. It has a healing effect and restores radiance to one’s complexion. Made from the petals of the Damask rose (which are harvested by hand and dried in the open), Damask rose powder is known to have antiseptic, anti-inflammatory and purifying properties. Its regenerating and toning properties makes it a suitable addition in cosmetics for all skin types especially sensitive and irritated skin. Commonly used in many Asian cultures in cooking and even cosmetics, barley powder is known for its skin lightening properties. It is rich in azelaic acid, an anti-acne compound and is known to help those suffering from hyperpigmentation or age spots. Some breeds of barley such as black or purple barley may also help slow down aging and prevent wrinkles. To use, scoop up some powder (about 1-2 tsp) into a clean bowl and gradually add water/liquid of your choice. Mix to reach your desired consistency (paste, runny slurry, etc). Pull your hair back and apply evenly to your face. Let it dry for 2-5 minutes for sensitive skin up to 8-12 minutes for oily skin. The mask does NOT need to be fully dry. Rinse off with warm water and a washcloth. Moisturise as usual. Note that your skin may feel tingly and warm during application and even after rinsing off – this is normal and a sign that the mask is doing its job of detoxifying. Store away from direct light and heat, and always keep the jar firmly closed. Only dilute with the liquids of your choice when needed. Discard at the first sign of an “off-putting” smell. Packed with oils that are gentle and high in anti-oxidants and vitamins, this face oil is suitable for those seeking to moisturise and soothe all skin types, especially sensitive skin, and makes for a great night cream replacer. Contents | Apricot kernel oil, cold pressed jojoba oil, unrefined avocado oil, organic rosehip oil, Vitamin E, essential oils. Lightweight, easily absorbed into skin and gentle, apricot kernel oil is suitable for all skin types, especially those with sensitive or oily skin. It is rich in gamma linoleic acid and helps skin maintain its moisturise balance. This vitamins A & E-rich oil also has anti-inflammatory properties and helps to soothe, lubricate and nourish skin. Jojoba oil is a light oil that is absorbant and versatile. Used by the Native Americans for centuries to treat skin wounds, this wax (yes, jojoba oil isn’t an oil but a liquid wax!) has anti-bacterial and anti-inflammatory properties. It is rich in ceramides and Vitamin E which help to not only keep skin hydrated but also in minimising the appearance of fine lines. Avocado oil is high in sterolins, which are known to help reduce age spots, heal skin and aid in moisturising and softening skin. It also contains antioxidants and vitamins such as vitamins A, E and D that help kill off free radicals that damage skin. Avocados also contain natural sunscreen that help protect skin and hair from UV-related damage (although it is not a recommended sunscreen replacement!). Rosehip oil is known for its excellent tissue regeneration properties and can help to reduce scars (trauma and surgical) and wrinkles. It also moisturises, soothes and softens skin. Rich in Vit F or essential fatty acids, this oil helps aid skin regeneration and wound healing. We use Ecocert certified organic first cold pressed rosehip oil from Chile. Massage 1-2 drops into freshly cleansed skin (face, around the eyes and neck region) once a day and in place of your regular moisturiser. Works best if used at night just before bedtime. Store away from direct light and heat. Discard at the first sign of an “off-putting” smell. Packed with lightweight oils that are high in anti-oxidants and vitamins, this face oil is suitable for those seeking to rebalance oily and/or acne-proned skin. Contents | Apricot kernel oil, cold pressed jojoba oil, cold pressed hazelnut oil, cold pressed sesame seed oil, Vitamin E, essential oils. Hazelnut oil has been called the “pore-reducing and acne-fighting” oil because of its unique properties. Rich in catechin and tannins (healthy flavonoids), this dry and astringent oil helps to absorb oils and shrink pores while its antibacterial properties work at helping reduce blackheads and pimples. 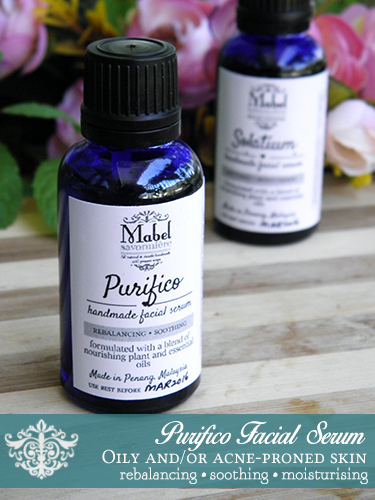 It is also a lightweight and easily asborbed oil which helps to rebalance oily skin. Sometimes known as Queen of Oils, it has been used in aryuvedic medicine and mentioned in the Vedas (ancient Indian texts) as a healing oil. Rich in antioxidants, sesame oil is a lightweight and easily absorbed oil. 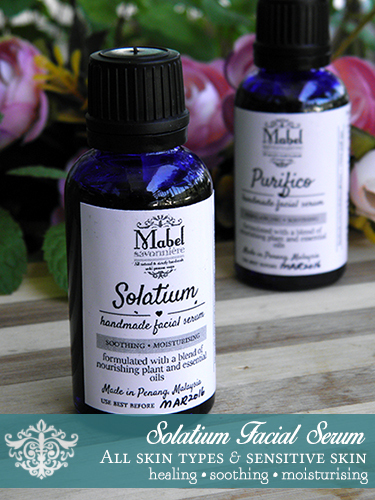 It containes an antioxidant called sesamol which effectively prevents the appearances of wrinkles and fine lines. Massage 1-2 drops (or whatever amount you require) into freshly cleansed skin (face, around the eyes and neck region) once a day and in place of your regular moisturiser. Works best if used at night just before bedtime.